In 2018 alone, Birthright provided over $77,000 in direct financial assistance to women in St. Charles County in need of support. Financial assistance is given on a case by case basis to help meet the needs of our clients where they are at. For some of our working moms, this assistance has been extended to help cover a rent or mortgage during unpaid maternity leave. We were able to provide financial support to a mom with a child with special needs when she had to miss work in order to care for her new baby. We also provided further counseling support at no cost to her. As an organization intent on serving the entire woman, the goals and dreams of our clients become just as important to us as they are to them. We believe in empowering women to be all that they can be—and it has been our joy to provide educational assistance to women reaching for their dreams. We were able to assist a young woman named Rachel in paying for educational classes which allowed her to complete certification for her job. We even helped to cover the cost of a modified class schedule to allow her to have her baby and maintain her educational program. In an effort to help supplement the needs working moms are already trying to meet, we connect them with programs and assistance available in their own community for food, financial support, school supplies, Christmas programs, child care etc. and proudly walk alongside them as, together, we navigate the available resources. During our 35 plus years of serving women in our local community, we have found that one of the greatest needs women have is sound emotional support. This need is especially great when they are juggling multiple hats—such as career and childrearing—at one time. Birthright St. Charles offers this support and understanding through regular follow up and counseling to address the specific needs of our clients. Our staff of trained volunteers reaches out on a regular basis to see how a mom is doing, assess her needs and provide valued encouragement. We validate the hard work she is doing filling the roles of both mom and employee. We firmly believe that woman should be supported and empowered in both motherhood and their careers. 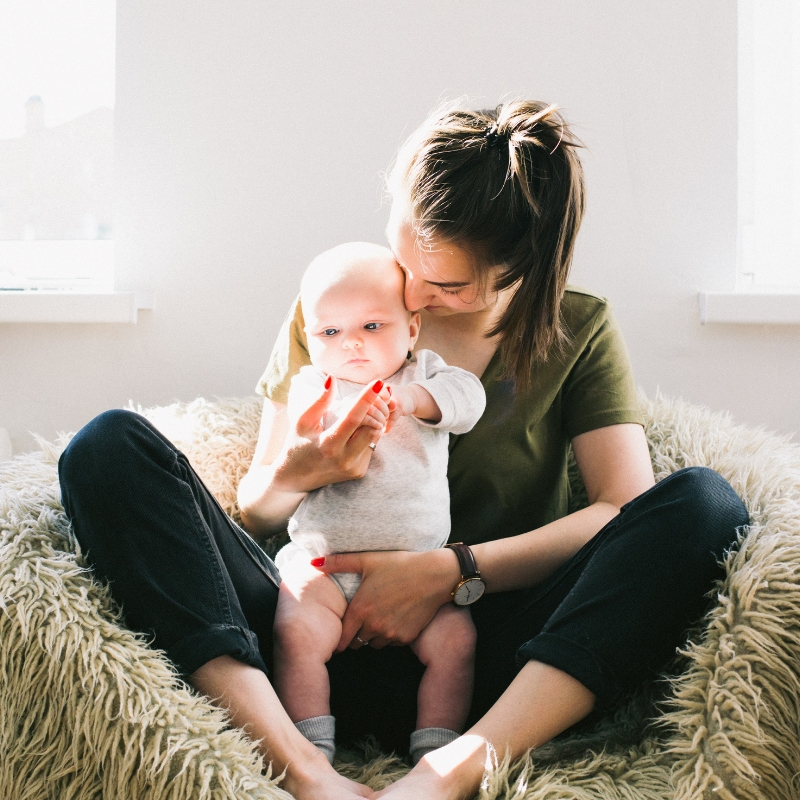 We have advocated for moms and helped them find alternative employment in situations where their current job would not hold their position while on leave or due to the pregnancy. We have helped secure insurance for the working moms that have part-time jobs or no insurance so that they could access the medical care they need and deserve. I can personally attest to Birthright St Charles’s unwavering support of the ‘working woman’ as a working mom myself who was hired by the organization in 2016 while seven months pregnant and supported in my own motherhood ever since. During my search for additional part-time income while pregnant, a number of promising interviews fell through upon revealing my pregnancy. After speaking with the leadership of Birthright St. Charles and discussing what the reality of my employment coexisting with my son would look like, I felt incredibly empowered. Not once while working for this amazing organization have I felt that they doubted my ability to be the best mom I could be while meeting the expectations of my job. Birthright has always been incredibly patient, understanding, and flexible with my schedule and needs, allowing me to bring my breastfeeding infant (and now very mobile toddler) to the office with me, providing the resources needed to work from home a majority of the time, and wrapping both my son and I with love and validation at every possible opportunity. When asked about my work situation, I am able to proudly reply that Birthright St. Charles has made it possible for me to serve a mission I believe in while raising my child and I am always met with amazement when people learn I have a job and administration which supports and empowers me to do so. In a society where the majority of mothers are also working mothers, and as an organization that supports moms wherever they are at on their journeys, we want to validate our clients and all working moms in all that they are accomplishing. We are proud to be an organization which has and continues to offer all forms of support to working moms. We will continue to do our part to create a world in which every woman sees the beauty and importance in HER story and is met with encouragement in the pursuit of her dreams and goals, as an individual and a mother. Need Support As A Working Mom?